In our state, College Application Day is an initiative to promote the college-going culture and encourage students to complete college applications with the help of school counselors and admissions representatives. Though the day is centered around our seniors, our teachers buy in as they wear their alma mater's colors or a t-shirt from their school! 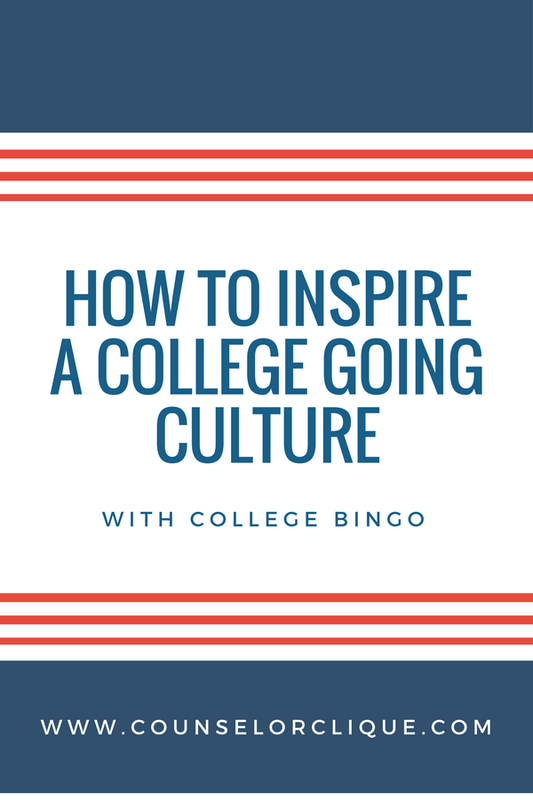 I used this activity on College Application Day as a way to involve the rest of the student body! 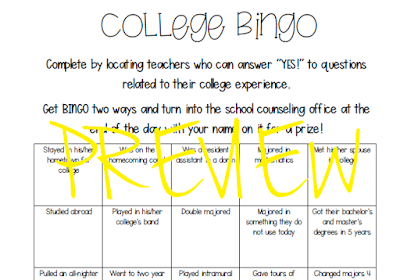 Students could pick up a College Bingo sheet from a folder outside of our school counseling office. They spent their day collecting signatures/initials from teachers to obtain BINGO! in two directions. Once they did this, they returned their sheet to the school counseling office. It was one simple thing to add to our programming for the day. I even had an administrator participate and rave about how it helped her get to know teachers she wouldn't normally interact with! 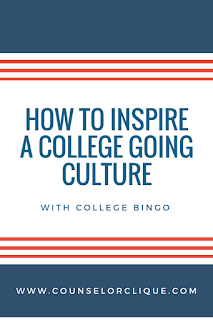 I let students who returned the sheet correctly pick out of my college swag box-- you know that box of stuff you have with free stuff from colleges that you never know what to do with it all (pens, koozies, stress balls, drawstring backpacks, water bottles...). 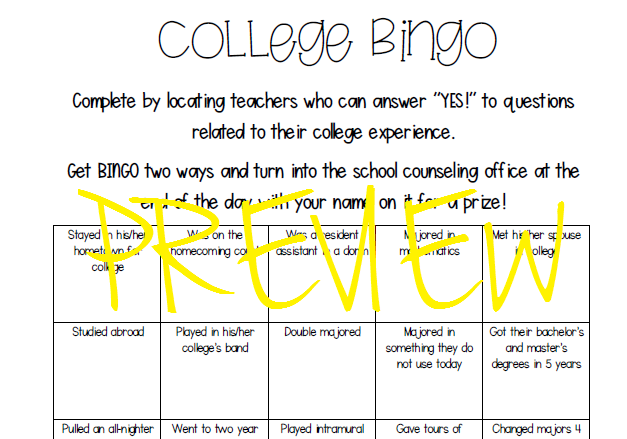 You could play with middle schoolers, high schoolers, or even as an ice breaker with faculty. Check out my product listing on Teachers Pay Teachers HERE! If you're planning an entire College Application Day this year, be sure to check out my previous blog post and TPT listing for the College Application Pennant to make a great bulletin board!